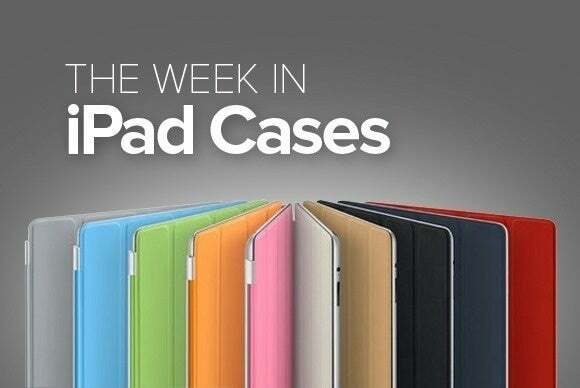 This week’s roundup of new iPad cases includes ultra-rugged cases for outdoor use, sleeves with optional carrying straps, and... book cases! 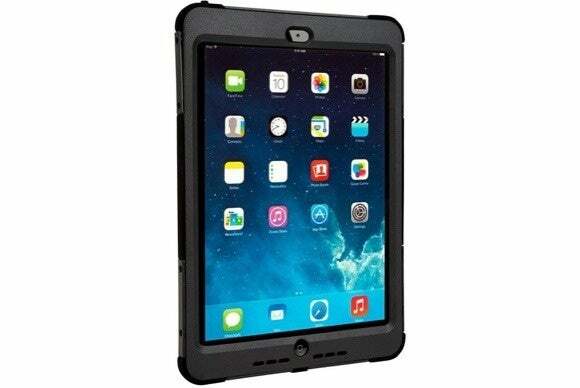 The Waterproof Sleeve (all iPad mini models; $40) combines the protection of a case with the convenience of a carry-all bag. 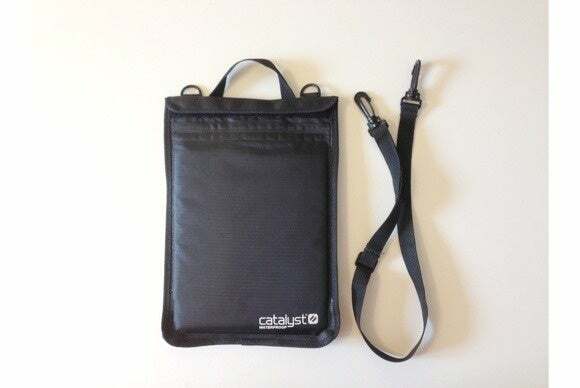 Cushioned with foam for extra padding, the sleeve features a double lock closure to prevent water damage, sports a waterproof nylon exterior for additional peace of mind, and includes removable straps that let you easily carry it as a shoulder bag or backpack. 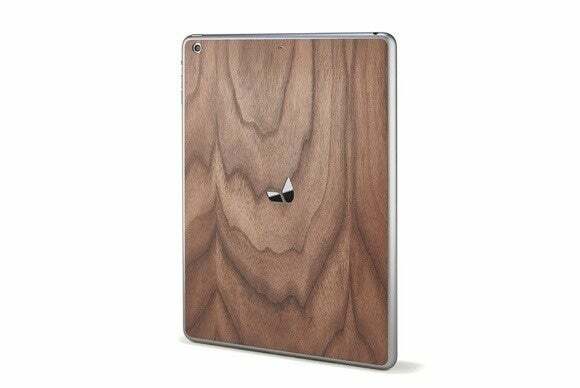 The Walnut Back (iPad mini, iPad mini 2, and iPad Air; $39) is a 3M adhesive skin that sticks to the back of your iPad to help keep its back safe from scratches and smudges. Made from black walnut and sanded with natural oils, the skin is easy to apply and remove, and won’t leave behind any permanent residue when you decide to take it off for good. Plus, since it’s so thin, it leaves your iPad compatible with other sleeves and carrying cases. 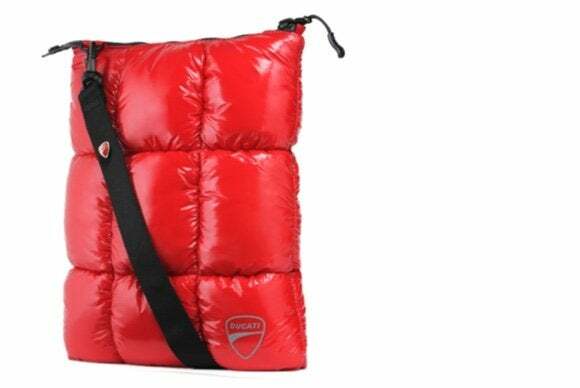 The Summit (all iPad models; $33) is a shoulder bag with a sleek design inspired by motorcycle manufacturer Ducati. With plenty of padding to securely hold your iPad when you’re on the go, the Summit makes a great addition to your protective arsenal, and comes in red, white, or black. Plus, it looks like a puffy winter jacket! 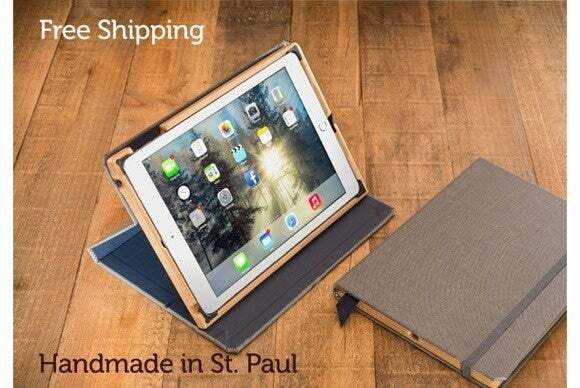 The Contega Linen (iPad Air, iPad Air 2, iPad mini, iPad mini 2, and iPad mini 3; $90 to $100) is a book-style folio with a wooden frame to hold your iPad in place, wrapped in an exterior buckram cloth. Available in grey and cranberry, the Contega Linen turns into a stand in landscape orientation with multiple angles, is compatible with the iPad’s magnetic sleep/wake feature, and offers unobstructed access to the iPad’s camera, headphone jack, Lightning port, and controls. The Turtle Skin (iPad mini 3; $23) features a sturdy design, with a silicone shell and a thick outer tube to help prevent damage to the iPad’s corners. 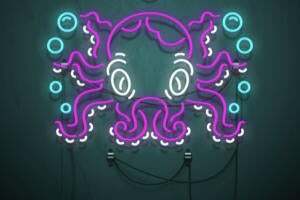 This shock-resistant case sports raised edges to protect your screen when placed face down on a flat surface, includes channeling chambers to redirect sound for a better listening experience, and comes in several neon finishes, like blue, green, purple, and red. The Italian Bonded Leather Book (iPad 2, third- and fourth-generation iPad, iPad Air, and iPad Air 2; $90) completely surrounds and protects your iPad in an elegant cocoon made from genuine leather. The case includes a secret power button that can be used to turn your iPad on and off, and turns into a convenient stand in landscape orientation whenever you want to prop it up. 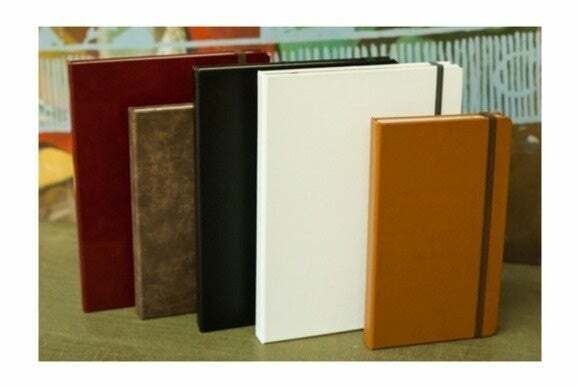 Completely customizable with a variety of colors and optional accessories, the Italian Bonded Leather Book is also compatible with the iPad’s magnetic sleep/wake feature. The DuraFolio (iPad Air 2; $60) sports a slim and sleek design that protects your iPad from accidental bumps and smudges. 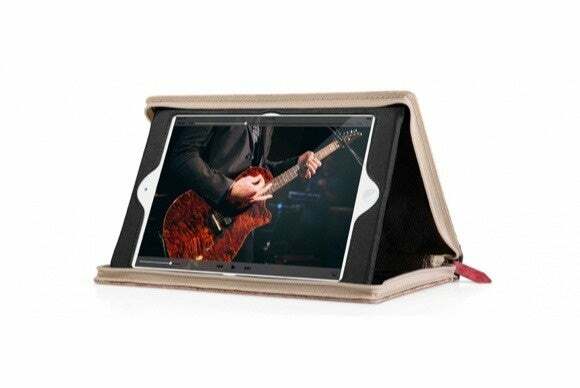 Manufactured to meet or exceed military drop test standards, the case features a textured finish for safer handling, is compatible with the iPad’s magnetic sleep/wake feature, and turns into a stand in landscape orientation, supporting multiple viewing angles for typing or chatting on FaceTime. 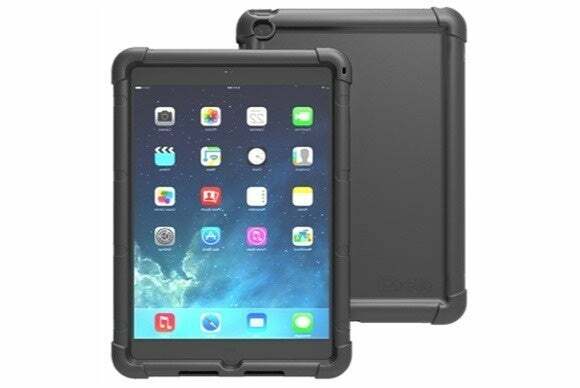 The SafePort Rugged Max Pro (iPad Air 2; $43) is a heavy-duty protective case, built to meet military drop test standards and prevent damage from shock and bumps. 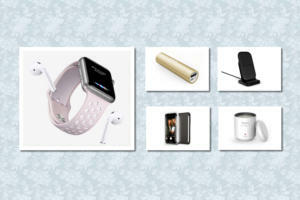 It also includes a built-in screen protector to keep your iPad’s screen free from smudges and scratches, and sports silicone plugs for the iPad’s ports to keep out dust and grime. The BookBook Rutledge (iPad mini and iPad Air; $100) features Twelve South’s classic book design with some additional features thrown in. 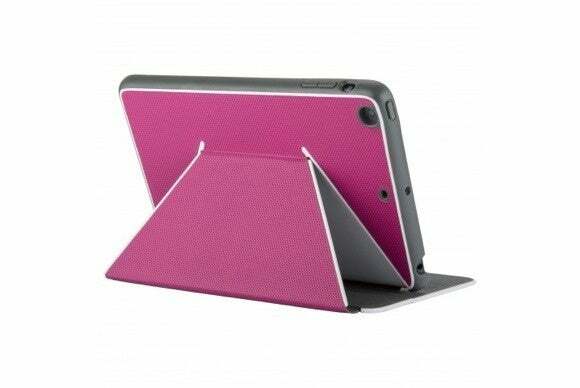 The case includes a zippered closure to keep your iPad fully protected when not in use. 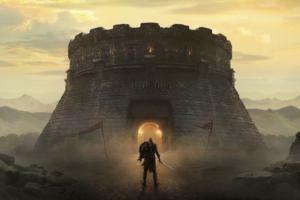 It also turns into a convenient stand in landscape orientation; additionally, if you’re using your iPad in landscape orientation and need to access Notification Center, you’ll find small notches in the support frame that make it easy to swipe down. Plus, it has a unique hand-finished leather cover, and Twelve South boasts that no two Rutledge cases look alike.